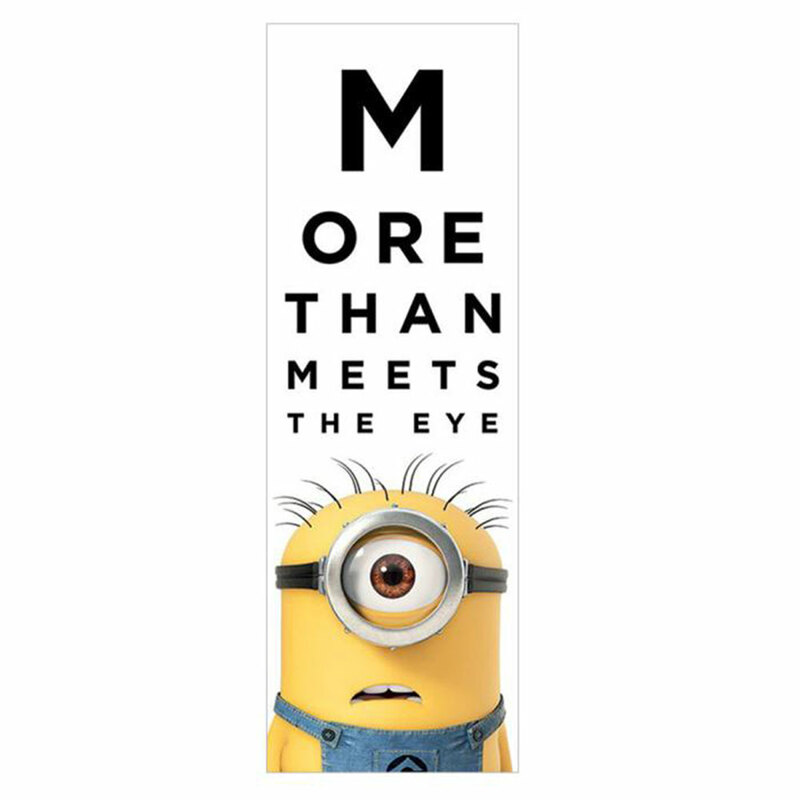 More Than Meets The Eye Slim Minions Poster | Minion Shop. This funny eye test style Minions Poster is perfect for decorating your door or wall and would make a fantastic gift for any Minions fan. Poster Size: 11.75" x 36"